Maher was found guilty by a Fayette County jury of vehicular homicide after a crash that killed Washington C.H. resident Dale E. Patton. Oral arguments were heard Monday in the 12th District Court of Appeals after a Kentucky man filed to appeal his 2016 conviction in Fayette County. A Fayette County jury found Eric D. Maher, of Morehead Ky., guilty Sept. 29, 2016 of vehicular homicide in an accident that killed Washington C.H. resident Dale E. Patton. The charge is a minor misdemeanor and Maher was sentenced in the Fayette County Court of Common Pleas to serve 10 days in the Fayette County Jail and was given a five-year driver’s license suspension, and one year of community control probation with the Fayette County Adult Probation Department. Maher immediately filed for appeal. A decision on the appeal will be made following the oral arguments heard Monday in the district court in Middletown. Fayette County Prosecutor Jess Weade was present at the arguments on behalf of the state of Ohio and said there is no information as to when the decision will be made. Maher’s attorney for appeal is Jason Walker from Columbus. 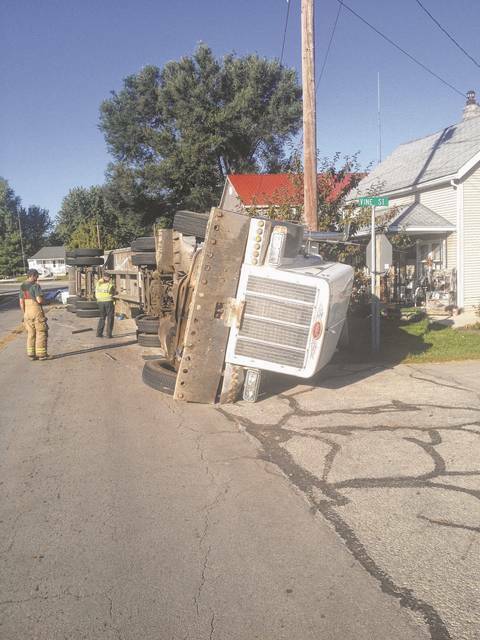 Maher was indicted by a Fayette County grand jury in April 2016 for vehicular homicide after a 2004 Peterbilt tractor-trailer he was driving overturned on a curve near the Village of Staunton Sept. 24, 2015. Patton, 68, was traveling in a Jeep in the opposite lane, hit a guardrail, and was pronounced dead at the hospital. Patton’s family members spoke in court during Maher’s sentencing hearing last year. They said Maher should not be allowed to be a truck driver anymore and requested that he receive a lifetime suspension of his CDL license. Maher was hauling thousands of pounds of cardboard boxes that were flattened and baled together with wire. The bales were strapped onto the semi-trailer. Several loose and damaged straps were found at the scene of the accident. The jury deliberated for an hour-and-a-half Sept. 29 before coming back into the courtroom to announce Maher acted with a lapse of due care and was guilty of vehicular homicide. The judge suspended a 180-day jail sentence but imposed a mandatory 10-day sentence in the Fayette County Jail. https://www.recordherald.com/wp-content/uploads/sites/27/2017/08/web1_Crash2.jpgMaher was found guilty by a Fayette County jury of vehicular homicide after a crash that killed Washington C.H. resident Dale E. Patton.